Sunset Bay at Bon Secour, the Rookery and Navy Cove are some of the bay-front condos for sale in Gulf Shores. These complexes offer direct access to either Mobile Bay or Bon Secour Bay offering boating facilities such as ramps, private marinas, and trailer storage. Mobile Bay runs parallel to the Gulf of Mexico down the Fort Morgan peninsula. Navy Cove is located along Fort Morgan Rd which runs for approximately 21 miles eventually reaching its end point at Historic Fort Morgan. To view real estate statistics, skip to the Gulf Shores bay front condo statistics. ReadBayjohn is located near Plash Island off of County Roads 4 and 6. The complex sits at the mouth of Oyster Bay as it enters Mobile Bay in between Gulf Shores and Bon Secour, AL. Bayjohn are direct bay-view condos with two and three-bedroom floor plans ranging from 1200 to 1700 square foot. Amenities include an assigned boat slip, outdoor pool, exercise facility, outside storage room, and covered parking. These condos are approximately 10-15 minutes from the Gulf Shores Hangout and downtown. ReadNavy Cove Harbor is located approximately 5 miles East of Fort Morgan on the State Hwy 180. Units are two or three bedrooms with living space averaging from 1,000 to 1,300 square feet. This complex features two waterfront swimming pools, sauna, private boat launch, boat slips, and is within walking distance to the beach. Navy Cove offers quick access to the Gulf of Mexico around the tip of the Fort Morgan peninsula and a short run to Dauphin Island. 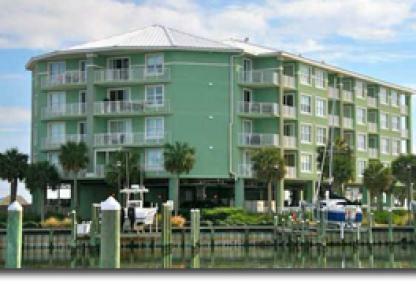 ReadSailboat Bay condos are located on the intracoastal waterway approximately 6 miles West on County Road 4. 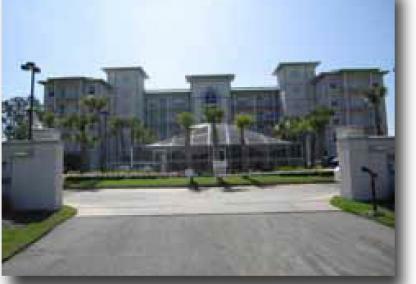 The condos are located on Oyster Bay which flows into the Gulf of Mexico. Sailboat Bay consists of 184 condos built in 1993. Floor plans range from 1,000 square foot 2 bedrooms to 1,600 square foot 3 bedrooms. Downtown Gulf Shores is approximately 10 minutes by car and Orange Beach is another 5 minutes. ReadSunset Bay at Bon Secour IV II is an exclusive gated community located on Plash Island in Gulf Shores. The development offers two or three bedroom condos ranging from 1,200 to 1,900 square feet in size. These well-appointed residences feature GE Profile appliances, granite counters, tall ceilings, and stunning views. The wooden boardwalk takes you to the property's clubhouse, exercise center, waterfront pool, and marina. The property is a 10 minute drive to downtown Gulf Shores.